You'll probably know I've had huge clear out. I've lost count of the number of bags full of clothes I've given to charity shops, all good quality, hardly worn, high street clothes and it got me thinking, I wonder what else people give to charity shops. I popped along to the RSPCA in Chester Le Street and was really surprised at what I found. 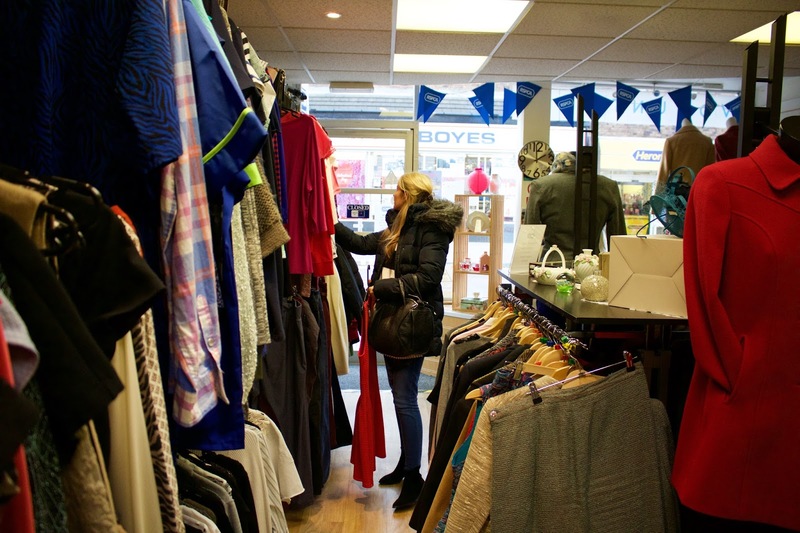 The staff were really welcoming and showed me where I could find clothes my size, which was really helpful as it did feel pretty daunting when first walked in the shop and saw a sea full of clothes. I also couldn't believe the highstreet names that were on the rails, Ted Baker and Jack Wills to name a few. I had a good old hunt around and found some items that I really liked and would probably bought in a shop regardless. 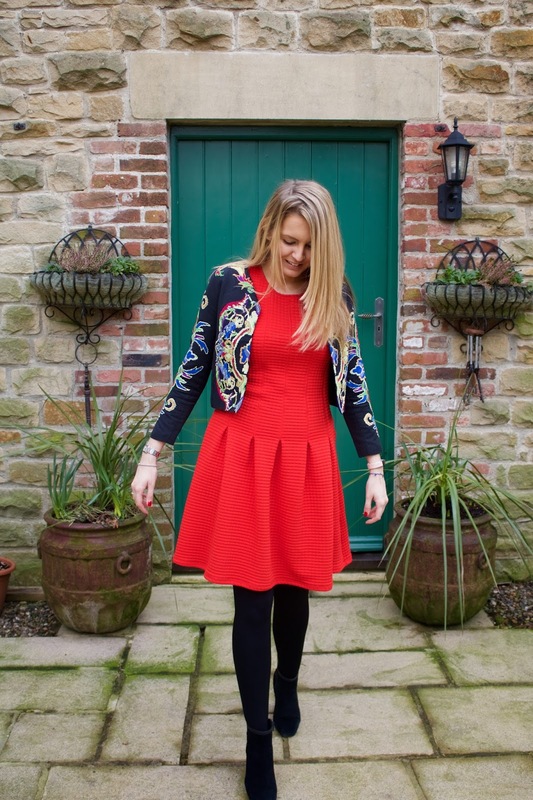 The first thing that caught my eye was this red dress originally from H&M and a bargain at £3. Once I picked the dress up I moved my attention further along the rail and this amazing multi coloured jacket caught my eye and I had to try it on. It is from Asos, their petit range and was a size 4. So I wasn't sure if it would look too snug. But I think it works really well over the top of the dress and was a complete steal at £4. I also think it would look great with black jeans and a plain white t-shirt to add some colour to your outfit. My absolute star buy was this Villa jacket at an amazing £10! This jacket is completely my style and my face lit up when I saw it. The faux leave look on the lapels goes really well with my faux leather leggings I got in Next just before christmas. I know I'm going to get a lot of wear out of this. I'd love to hear your favourite charity shops to look in? I've popped into a few when I've been out and about but I'd like to know if there are any gems out there. *I was gifted these clothes in exchange for a blog post. All opinions remain my own and are honest.